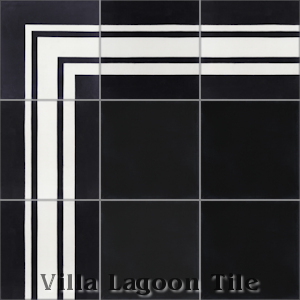 This is a 2-color 8" cement tile border, using Black and White from the South Beach Palette. 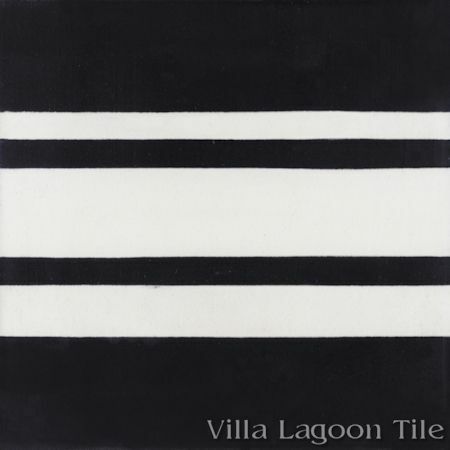 We call this basic cement tile border pattern "Francis Stripe Border". 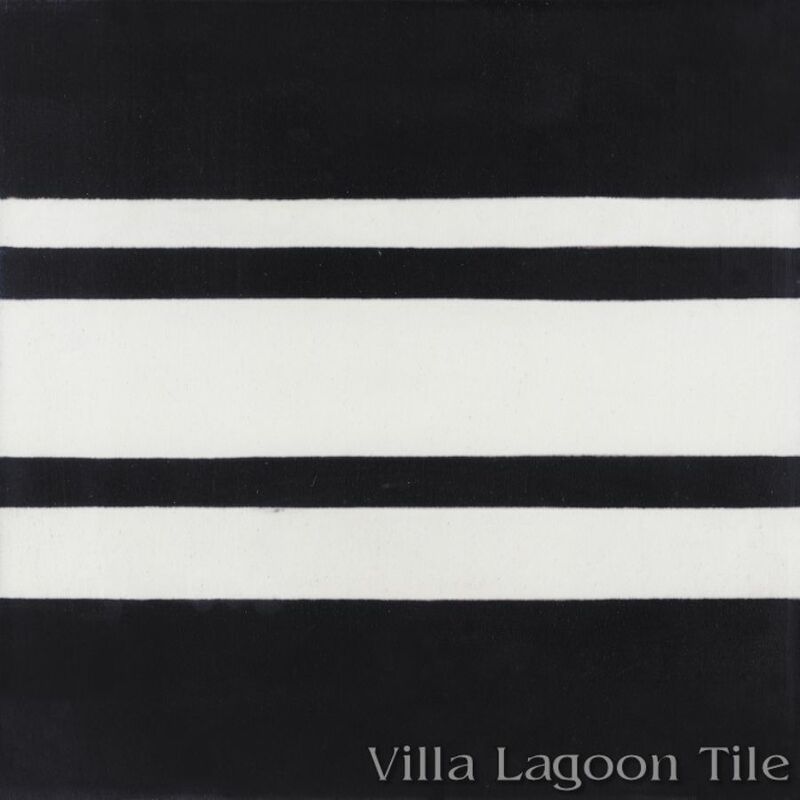 Traditional cement tile installations frequently use borders and solid color tiles along with patterns, to create a rug effect. 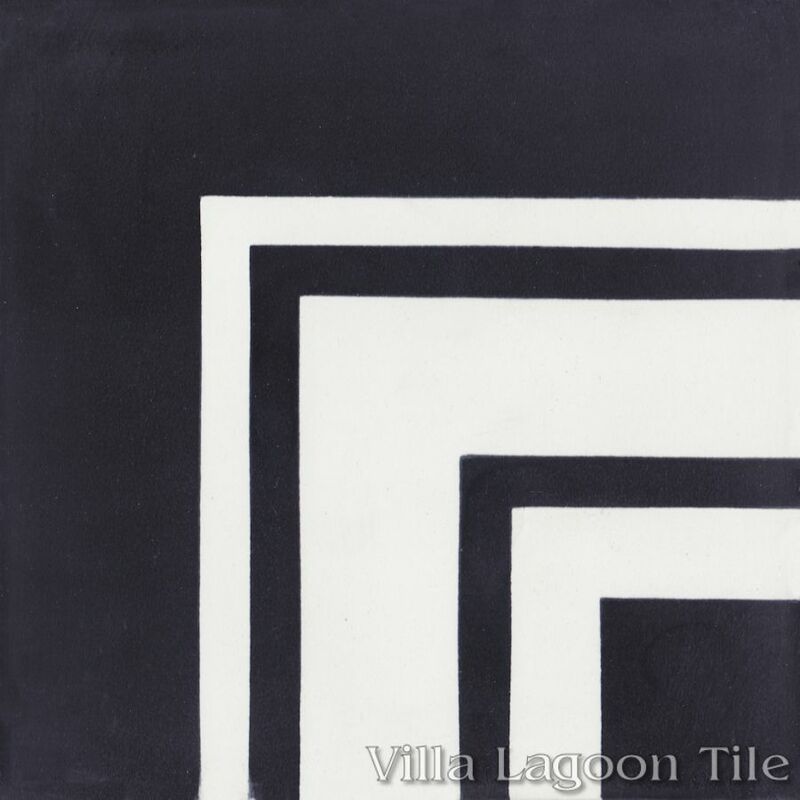 Use alternating stripes to frame your cement tile installation.